This major reference provides a comprehensive treatment of the physiological effects of foods and food components capable of promoting good health and preventing or alleviating diseases. It assembles, in one volume, extensive recent information on the nature and physiological effects of biologically-active components of major plant foods-cereals, oilseeds, fruits, and vegetables-and dairy and fish products. For the first time in any reference work, internationally renowned specialists discuss how to manufacture and evaluate food products with health enhancing effects, using both traditional and novel processing methods. Entire chapters are devoted to functional food products from oats, wheat, rice, flaxseed, mustard, fruits, vegetables, fish, and dairy products. The chapter on designer vegetable oils covers all the recent developments in vegetable oils, including genetically modified oils and engineering and production of structured lipids. Functional products from quinoa, amaranth, beans, ginseng, echinacea, and other botanicals are covered in separate chapters. An authoritative final chapter discusses the present regulatory status of functional foods in the U. S., Japan, Canada, and the European Union. This chapter also discusses the assessment of natural products for use in promoting human health and as medicinal agents, considers where the burden of proof lies for showing the effect of a food product on a physiological or biochemical process, and explores the costs of making health claim. 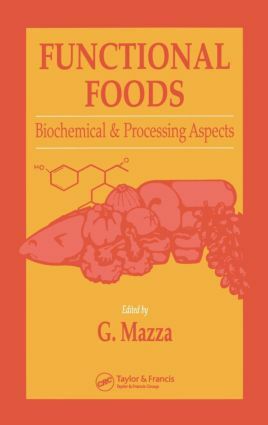 This comprehensive volume serves the information needs of food scientists and technologists, food process engineers, biochemists, nutritionists, public health professionals, and entrepreneurs involved in the design, processing, and marketing of new functional food products. Anyone who believes in the need for real foods that combine nutritional and medical benefits and who believes that such foods can be produced, will find this book invaluable.